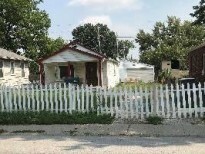 Great efficiency on a corner lot with a fenced in yard. Convenient to interstate and Southside amenities. Parking pad in front of home.